A team of scientists from Germany has succeeded in creating a Bose-Einstein condensate for the first time in space on board a research rocket. On January 23, 2017 at 3:30 a.m. Central European Time, the MAIUS-1 mission was launched into space from the Esrange Space Center in Sweden. After a detailed analysis, the results have been published recently in the journal Nature. The Bose-Einstein condensate, an ultracold gas, can be used as a starting point for performing important measurements in zero gravity. During the approximately 15-minute rocket flight, the scientists managed to conduct approximately 100 experiments with regard to the generation and characterization of the Bose-Einstein condensate and its suitability as a basis for high-precision interferometry. Ultracold quantum gases are employed as a source for a variety of quantum technological experiments. Scientists can use them to measure the Earth's gravitational field, detect gravitational waves, and test Einstein's equivalence principle with high precision. As these experiments are usually limited in accuracy by how long the ultracold atoms can be observed, performing them in space promises to increase their sensitivity significantly, because the observation times are no longer limited by the gravitational acceleration on Earth. Led by Leibniz University Hannover, a team of scientists from eleven German universities and research institutions, among them a group led by Professor Patrick Windpassinger of the Institute of Physics at Johannes Gutenberg University Mainz (JGU), developed and constructed the scientific payload of the MAIUS-1 mission and collected data during its flight. "The success of the MAIUS mission not only proves that the laser system we developed is highly reliable in extreme environments away from the laboratory. It also demonstrates that quantum technologies like those pursued in initiatives run by the German Federal Ministry of Education and Research (BMBF) and in the EU Quantum Flagship program have already reached a very high level of technological maturity," said Windpassinger, commenting on the mission. The experiments employ lasers and magnetic fields to capture an atomic gas, which is composed of rubidium atoms in this case, and cool it to temperatures within a few billionths of a degree above absolute zero. As a result, the scientists can observe the condensate for several hundred milliseconds and use it to take measurements. Absolute zero is around minus 273.15 degrees Celsius. In their paper published in Nature, the scientists demonstrate that their technique for generating and transporting ultracold atoms is highly reproducible. In particular, the movements of the atoms in the magnetic trap, generated by a so-called atom chip, closely matched predictions. Being able to transport them in this way would permit their utilization in more advanced cooling schemes. "This should enable us to achieve even lower temperatures, down to a few trillionths of a degree above absolute zero or even lower, in future missions," Dr. André Wenzlawski, a member of the Windpassinger group, pointed out. At such extremely cold temperatures, the speed of the atoms is reduced drastically. It is thus hoped that in future missions they will be observable for several seconds, opening up the possibility of precision measurements at accuracies not possible on Earth. The research team has thus demonstrated the viability of their basic method when it comes to experimentally measuring the Earth's gravitational field, detecting gravitational waves, and testing Einstein's equivalence principle. The researchers will pursue the last-mentioned application in the follow-up missions MAIUS-2 and MAIUS-3. These are scheduled for two more rocket launches in 2020 and 2021, in which, in addition to ultracold rubidium atoms, potassium atoms will also be studied. Comparing the gravitational acceleration of the two kinds of atoms should allow to measure the equivalence principle in the future. Similarly, the findings will be used to plan BECCAL, a joint project to be undertaken by NASA and the German Aerospace Center (DLR) that will involve an experiment using ultracold quantum gases on the International Space Station (ISS). Professor Patrick Windpassinger's group at Mainz University will also form part of this team. 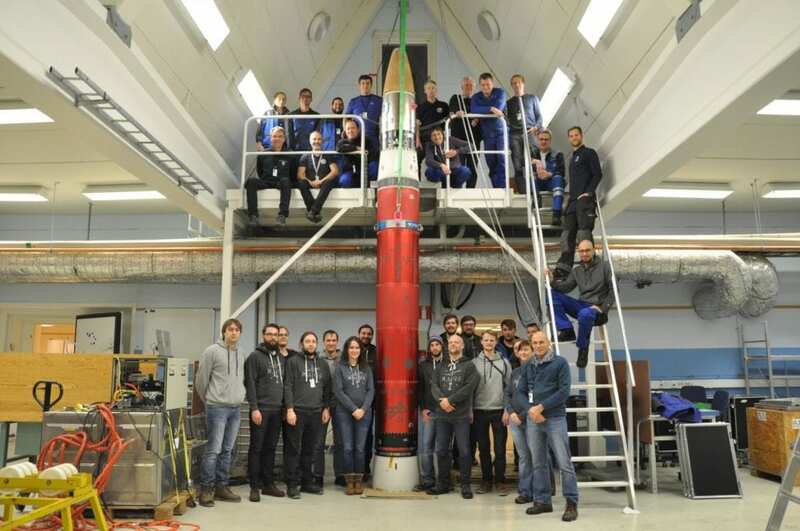 The MAIUS-1 high-altitude research rocket mission was implemented as a joint project by Leibniz University Hannover, the University of Bremen, Johannes Gutenberg University Mainz, Universität Hamburg, Humboldt-Universität zu Berlin, the Ferdinand-Braun-Institut, Leibniz-Institut für Höchstfrequenztechnik (FBH) in Berlin, TU Darmstadt, Ulm University, and the German Aerospace Center (DLR). Financing for the project was arranged by DLR Space Mission Management with funds provided by the German Federal Ministry for Economic Affairs and Energy on the basis of a resolution of the German Bundestag.